Clogged and smelly drains not only reduce the hygiene quotient of your home and make your life uncomfortable but they also raise your frustration level. And being frustrated not only affect your personal life, but it also has a similar impact on your professional life. If the problem with your drainage system has reduced the efficiency of your kitchen sink, bathtub or toilet, and you are unable to use any of them effectively, you will fail to perform the activities of daily living with ease and on time. 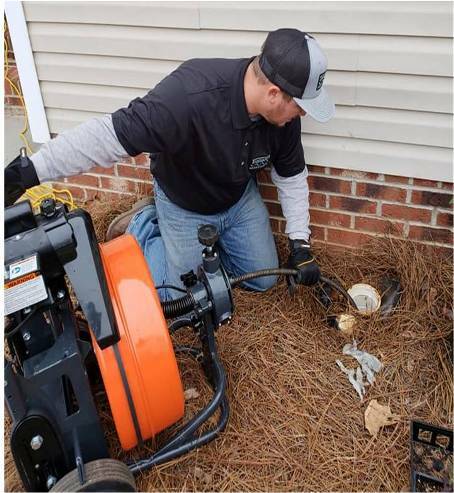 Believing that professional help is not that necessary to fix drainage problems, is one of the most impractical thoughts that people have in their mind. Thinking that having plumbing equipment like a plunger, P-trap, and plumber's snake; and implementing home remedies such as salt and boiling water, and vinegar and baking soda, are enough to fix slow draining sinks and clogged drains, doesn't always prove right. Moreover, your commitment towards your family especially children and job responsibilities won't always allow you to handle your drain problems. Dealing with partially and fully clogged drains and fixing leaky pipes that reside inside the walls requires years of plumbing knowledge; therefore, it's better to rely on an experienced plumbing company. So, if you are someone who faces the issue of slow or clogged drains frequently, then perhaps it's time to hire professional drain cleaning services. Here are the benefits of hiring drain cleaning services. Using home remedies such as drain guards, boiling water, and baking soda and vinegar won't always give the permanent solution for your problem. If you only rely on them every time you face an issue with your drains, you may end up confronting more complicated plumbing problems in the future, which will cost you way more. Therefore, it's better to hire drain cleaning services from a reliable firm to avoid getting repeated issues of slow performing or clogged drains. And the best part is that professional plumbers solve your problems without spending too much time. You not only require good plumbing skills to clean your drains but also need to invest in quality equipment, which is a bit burdensome task, especially if you know nothing about it. So rather than taking the burden of indulging in fixing your drain problems, it's better to leave that job to experts, and use that time to carry out other crucial activities. Good plumbing companies offer drain cleaning services at affordable rates, so anyone can hire them without thinking much about cost. And the truth remains that it helps in saving the money that people invest in buying plumbing equipment, especially if they lack the knowledge of using them. People who know nothing about the ins and outs of drain cleaning, end up injuring themselves frequently when they try to unclog a drain or fix a leaky drainage pipe. Therefore, it's better to rely on experts and use that time in doing something else. Designed for solving your problem immediately; emergency drain cleaning services are ideal for fixing an overflowing toilet or a clogged bathroom drain that's producing a nasty smell. You can't manage to use your washroom if your toilet is overflowing. Whether you talk about taking a shower or brushing your teeth in the morning if your toilet is overflowing, you either need to postpone these activities or use some other washroom in your home. So, if you don't want drainage problems to affect your daily routine, make sure you hire quality drain cleaning services the moment you observe signs like a slowly draining bathtub or water pooling in your bathroom.